Truck bodies built to do the work you need. 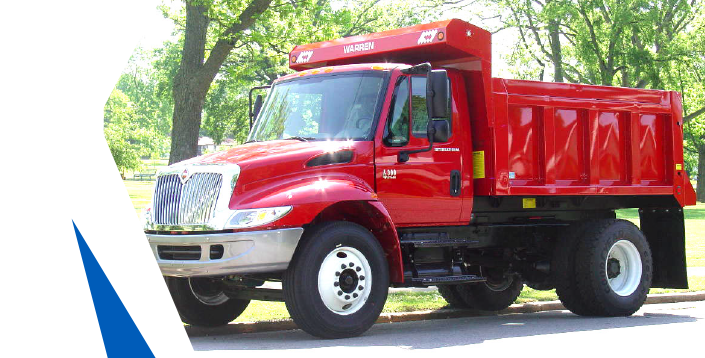 From dump bodies for medium duty trucks to heavy duty contractor trucks, Kansas Truck Equipment can meet your needs. We offer dump bodies by Warren, Crysteel and Rugby. Check out our line of landscape bodies by Rugby and Crysteel. 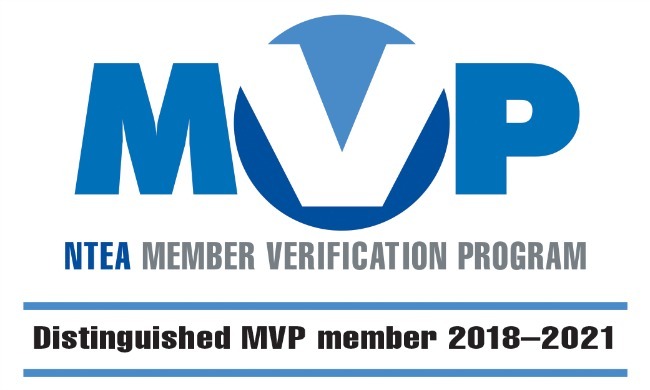 Kansas Truck Equipment uses ASE Certified technicians and we are the only local truck equipment provider to achieve MVP certification by the NTEA. 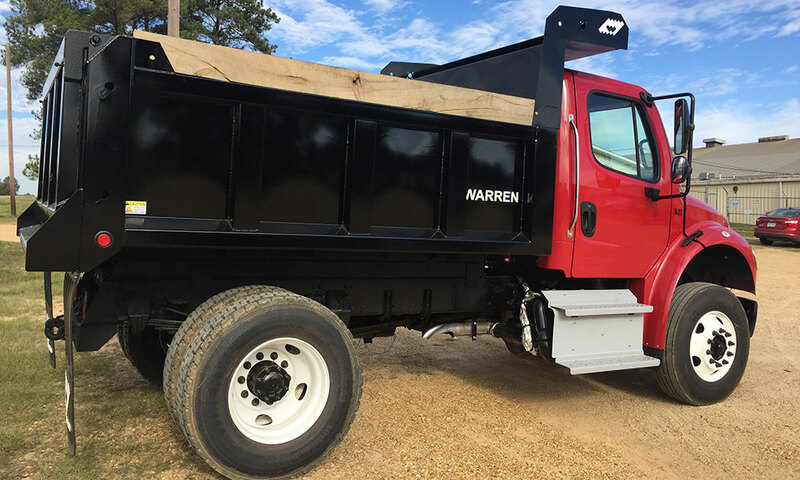 Warren 451 Series dump bodies are designed for mounting on medium duty single axle truck chassis. They have a strong ‘Stacked Type’ under-structure for extended life and a double acting, air operated tailgate with under-body arm or telescopic hoist. They are engineered for contractors and governmental agencies for hauling sand, gravel, asphalt mix and other materials. 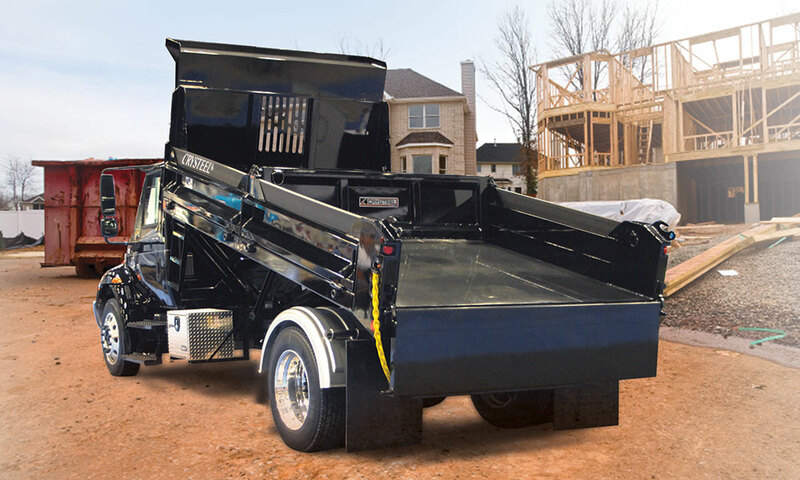 Crysteel’s line of medium and heavy duty dump bodies are designed to help contractors get the body that’s right for their application and, at the same time, maximize payloads. From the hard working Contractor body to the Select Dump Bodies series, there’s a Crysteel body available for almost any project. 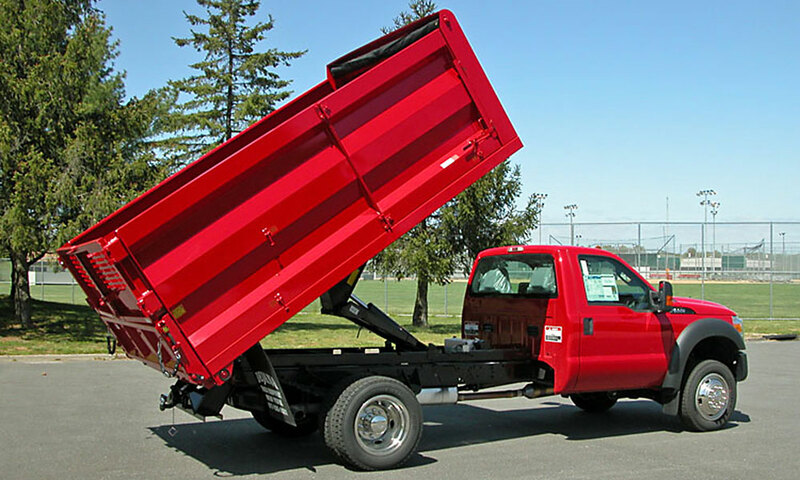 Rugby Manufacturing’s Eliminator LP Dump Body is the industry leader in Class 3-5. Featuring a sleek, streamlined style and designed for maximum durability, these units are available in 9′ to 12′ lengths with 12 and 17″ side height options. Units come equipped with a sloped 1/4 cab shield that has a slotted viewing window. 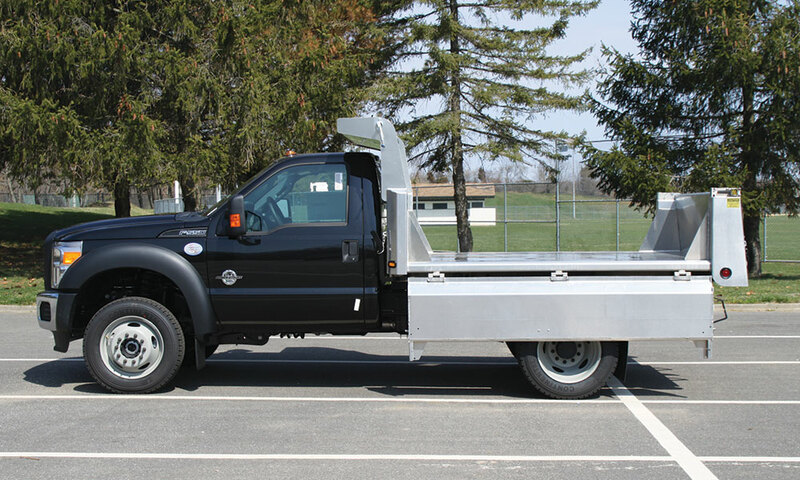 The patented EZ – LATCH™ system is also included for easy tailgate operation and maximum safety.